Painted Trillium is still one of my favorites. We found this bed unexpectedly in Deep Gap where several species of trillium and other wildflowers are blooming right now. 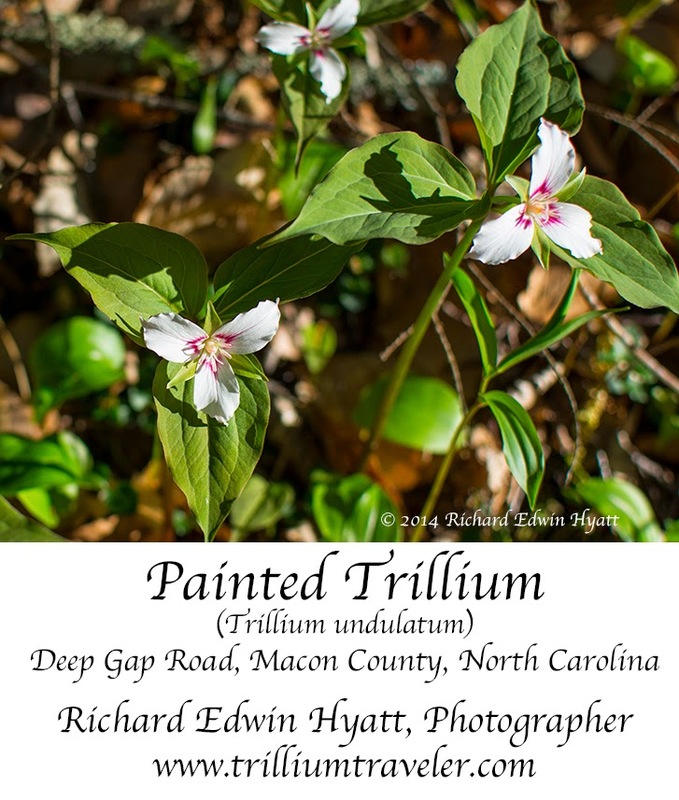 You can find more trilliums and nature scenes on my Facebook Trilliumtraveler page, too. I have several Facebook pages. Just look for Richard Edwin Hyatt and you can find them from there. This season Jean and I have found eleven species of trillium and some orchids and other wildflowers. It is a great time to get out with nature.